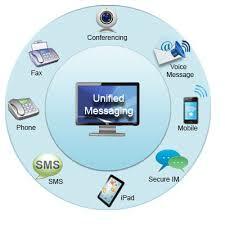 There is a concept that has existed for about 10 years known as Unified Messaging. Before reflecting on details I’ll say this is a phone system. The idea is that you get phone calls, voice messages, text messages in your business. 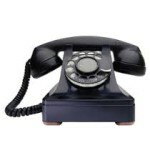 As a small business you may take calls in your office or your home on a land line or a VOIP system or your cell. When you give phone lines to clients you may have to give them multiple phone numbers for different things. 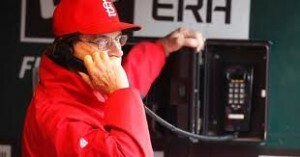 You may also have personal calls come in. You want to answer a call when you want to pick up a phone. You want to get notified of voicemails when you didn’t have time to pick up a phone. You want to get a text message wherever you are on a computer or your phone or other devices. The problem is that you are around more and more devices capable of doing these things but each of them has a different phone number or way of connecting you. For small businesses you can get all of these unified into a single number and connecting to you will chase you wherever you are. In the near future this will exist for free and we have talked about Google Voice trying to be this service but it has challenges. One service that handles this is SendHub. It will connect you and do a better job of translating your voice message than GVoice. It doesn’t yet do MMS (meaning no pictures – why not? for business that is an important feature). Should I Get It Now? You may want this now but be careful. Once you use the service and start distributing the phone number you get from it you get tied to it and moving to a free service later could be bit harder. But take a look and read up and see if this is worth it for you today. Otherwise way a year or two until Google fixes their problems or a new free alternative arrives.